YES! 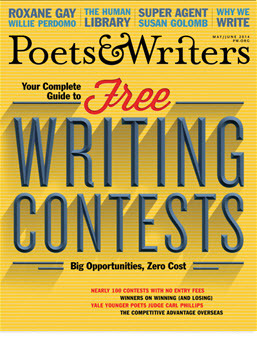 Send me Poets & Writers at up to 72% off the newsstand price. That's like getting 8 issues FREE! 2 years (12 issues) for $20.00 - ONLY $1.67 an issue! BEST DEAL! 1 year (6 issues) for $12.00 - ONLY $2.00 an issue! 2 years (12 issues) for $40.00 U.S.
1 year (6 issues) for $22.00 U.S.
2 years (12 issues) for $52.00 U.S.
1 year (6 issues) for $28.00 U.S.
Would you like to receive the Poets & Writers newsletter? Would you like to receive subscriber discounts & special offers?